Recent research is giving the lie to a belief that Neanderthal man was unintelligent and unsophisticated. In a study published in the Sciences Advances journal, scientists of the Natural History Museum in Basel and the Senckenberg Museums disprove the assumption that Neanderthals predominantly relied on their strength when using their hands. Headed by Senckenberg scientist Katerina Harvati, the researchers concluded that Neanderthal man performed his day-to-day work with precise hand and finger movements. The study is based on skeletons from Basel’s Spitalfriedhof cemetery (1845-1868), which have been archived and identified at the Natural History Museum in Basel and the associated historical files, which are stored in the State Archive of Basel-Stadt. 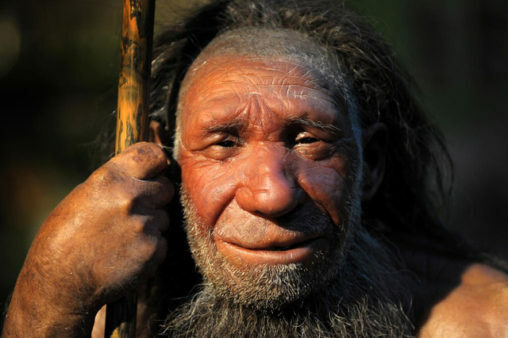 Homo neanderthalensis, who lived 400,000 to 40,000 years ago, is often portrayed as a physically strong but rather clumsy early human who mostly relied on his strength for making and applying tools. By contrast, it was assumed that the increased use of the precision grip reflects the advanced behavioural repertoire of modern man. “The robust anatomy of their hand bones had previously led to the assumption that Neanderthals accomplished their daily tasks predominantly through strength, although archaeological discoveries increasingly indicate advanced cultural behaviour,” explains Katerina Harvati, Professor of the Senckenberg Centre for Human Evolution and Palaeoenvironment at the University of Tübingen. Applying an innovative method, Harvati’s team has now shown that, contrary to previous assumptions, the reputedly unrefined ancestors of modern man mastered their day-to-day life almost exclusively with ‘finesse’. “For the first time, our study has successfully established a direct link between the anatomical traces contained in skeletal material from fossil human finds and the associated archaeological finds, resulting in a more complete understanding of the behaviour of extinct prehistoric hominids,” explains Alexandros-Fotios Karakostis, lead author of the study. The research shows that Neanderthals systematically applied ‘precision grips’ in their manual activities. In contrast to the ‘power grip’, which involves the entire palm as well as all finders and the thumb, the ‘precision grip’ involves holding and guiding objects mainly with the tips of the thumb and the index finger. “Since muscles and tendons are usually not preserved in fossil remains, we have studied the spots where muscles and tendons are connected to the bone, the so-called ‘muscle attachment markings’,” explains Professor Harvati. The scientists from Tübingen and Basel applied a new method based on the threedimensional measurement and analysis of entire groups of muscle attachment markings as opposed to individual markings. To verify the results from the Neanderthal hand bones, the findings were compared to samples from the unique ‘Basel-Spitalfriedhof’ skeleton series at the Natural History Museum in Basel. “This one-of-a-kind collection from the 19th century consists of identified skeletons, including information on the living conditions and professions of the deceased,” explains anthropologist Hotz from the Natural History Museum in Basel: “For instance, if we study the hand of a blacksmith, we can show by means of the muscle attachment markings that he frequently used ‘power grips’ in his daily life.” The BaselSpitalfriedhof civic research project (BBS) has transferred the files associated with the skeletons into the digital domain to document, for instance, the range of professions exercised by the deceased. According to Gerhard Hotz, it is thanks to the painstaking background work of the civic researchers of the BBS who transcribed the files that new methods of this kind can be developed. None of the analysed Neanderthal hand skeletons provided any evidence of prolonged use of power grips. “We therefore reject the popular view of Neanderthals as clumsy and powerful. Just like modern man, Neanderthals were competent makers and users of tools who predominantly employed precise hand and finger movements,” summarises Professor Harvati. By contrast, the hand bones of early homo sapiens show traces of the systematic use of both precision and power grips. These observations underpin the hypothesis that the division of labour accelerated for the first time in the Upper Palaeolithic. For Gerhard Hotz of the Natural History Museum in Basel, the published results fulfil his long-term dream of developing methods which help scientists gain insights into the living conditions of man in times before records began.